Who's Your Daddy? The Hawerchuks by @ChicksDigHockey w/@ryannoble66. - Very Barrie Colts | A website covering the Barrie Colts of the OHL. Home Barrie Colts Ben Hawerchuk blog chicks dig hockey Dale Hawerchuk NHL OHL whos your daddy Winnipeg Jets Who's Your Daddy? The Hawerchuks by @ChicksDigHockey w/@ryannoble66. Who's Your Daddy? The Hawerchuks by @ChicksDigHockey w/@ryannoble66. Thank you to Chicks Dig Hockey for helping us kick off this new series at the blog! She has contributed great hockey content for years and if you would like to see more from her be sure to 'Like' her popular Facebook Page Chicks Who Dig Hockey and you can 'Follow' her on Twitter here. 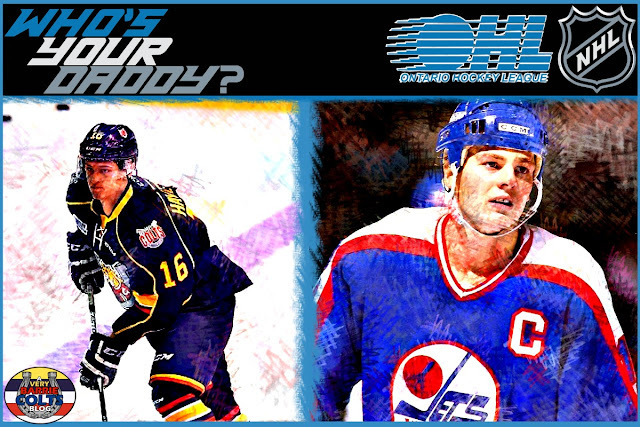 This is the first post in a series looking at OHL players with fathers who played in the NHL. We're exploring the similarities and differences in hockey fathers and sons. Does the apple ever fall far from the tree? Who’s your Daddy? Does it matter? Is there such a thing as a hockey pedigree? If you look at the Howe or Sutter families you would certainly think it matters who your Daddy is. Can you inherit hockey smarts or can it be in your DNA? What’s the old question ; is it nature or nurture? The former center played with legends like Mario Lemieux and Wayne Gretzky and enjoyed many memorable moments including helping Canada win the 1987 and 1991 Canada Cups. Hip issues plagued the end of his career but Hawerchuk made it to the 1997 Stanley Cup final with the Flyers. He retired in 1997 and entered the HHOF 4 years later. For a few years Hawerchuk enjoyed a private life that his surrounded his family and show-jumping horses but hockey called him back into the fold. He was coaching Tier II junior Orangeville Crushers in 2010 when he was tapped by Colts owner Howie Campbell to step behind the bench in Barrie. At 17 yrs old, Ben Hawerchuk is following in the family business. The 5’10” left winger is trying to carve a name for himself on the very team his father is coaching. 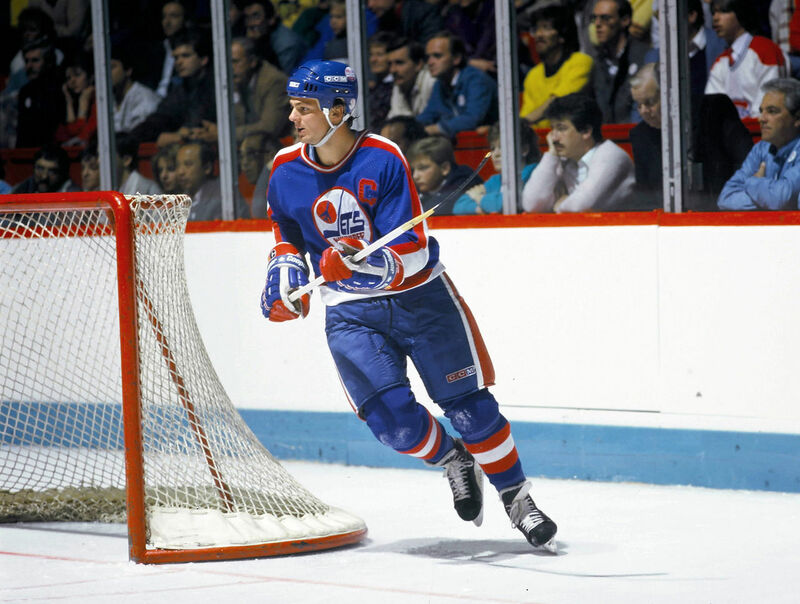 Young Hawerchuk is known as a hard worker with good speed. He may not have the obvious skill set his father showed early in his playing career but he plays an aggressive game and has the same competitive spirit as his Dad. He is smart and knows where to be on the ice. 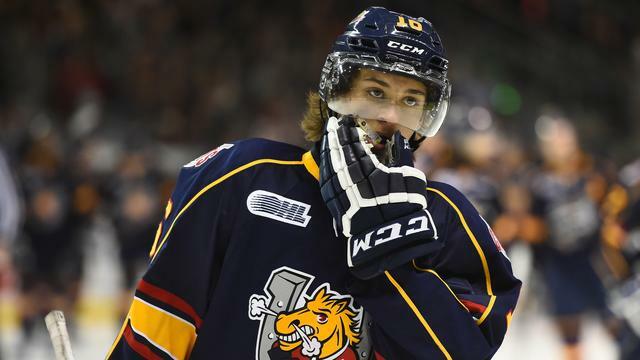 This year he has really stepped up his game and is shaping up to be one of the faces to watch in the OHL. You can tell that Ben worked on his game in the off season because he has really had a strong start to the 2015-16 season. In 10 games played he already has over half his total point production from last season with 3 goals and 2 assists. If he is able to keep pace Ben is on pace to total 22 points. Though that would require him to continue to average .5 points a game (last year he averaged .15) it is not unrealistic with how he has played and the team around him has played. Plus, if he can keep playing hard there is no reason the coach wouldn't reward him with more minutes, which could result in higher point production. It may be unfair to kick this series off looking at Ben Hawerchuk. After all, he’s being coached by the same man who may have given him a genetic advantage.